Encore Stables - Horse Shows and CompetitionsThe term "Horse Show" refers to a competition for horses and riders to compete against others. There are many disciplines in the equestrian community with their own version of horse show competitions. 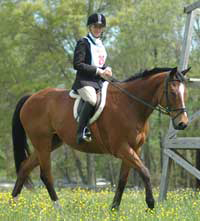 There are hunter shows, dressage shows, combined tests, horse trials, etc to choose from. At Encore we primarily seek out competitions that offer some type of quantitative and qualitative scoring system such as dressage or eventing so riders have tangible feeback for their performance. It's very hard to create goals or expectations if you don't get feedback! We also believe that riding off the farm in any capacity is good for horses and riders. We invite our boarders and riders taking lessons on our horses to various competitions and events we feel they are ready for. In addition, we have in-house shows for everyone to gain experience. 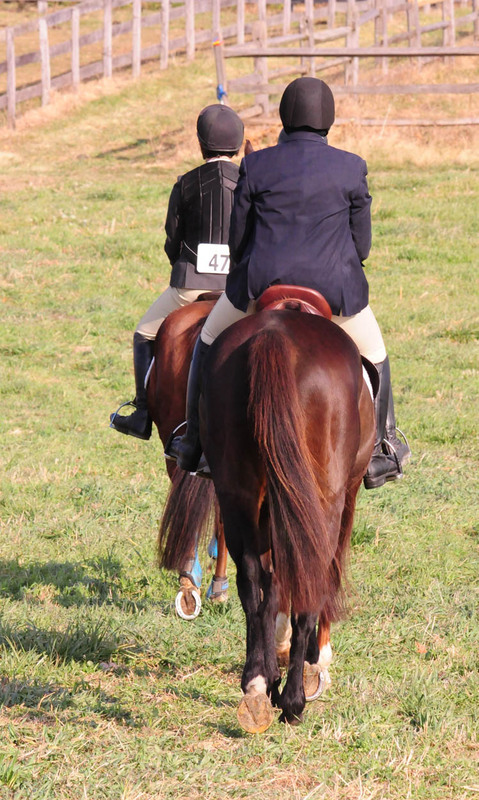 The term "Horse Show" refers to a competition for horses and riders to compete against others. There are many disciplines in the equestrian community with their own version of horse show competitions. 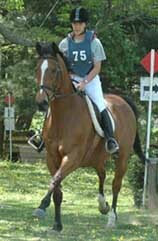 There are hunter shows, dressage shows, combined tests, horse trials, etc to choose from. At Encore we primarily seek out competitions that offer some type of quantitative and qualitative scoring system such as dressage or eventing so riders have tangible feeback for their performance. It's very hard to create goals or expectations if you don't get feedback! We also believe that riding off the farm in any capacity is good for horses and riders. We invite our boarders and riders taking lessons on our horses to various competitions and events we feel they are ready for. In addition, we have in-house shows for everyone to gain experience. If you like the challenge of competiting with yourself, dressage is a wonderfully addicting way to be competitive. Dressage shows are an excellent way to get good feedback you can apply to your lessons or your horse's training as you recieve both scores and comments from the judge for each movement. There are levels for all riders, starting simply with the introductory walk-trot tests and ending with the Grand Prix tests seen at the Olympics. 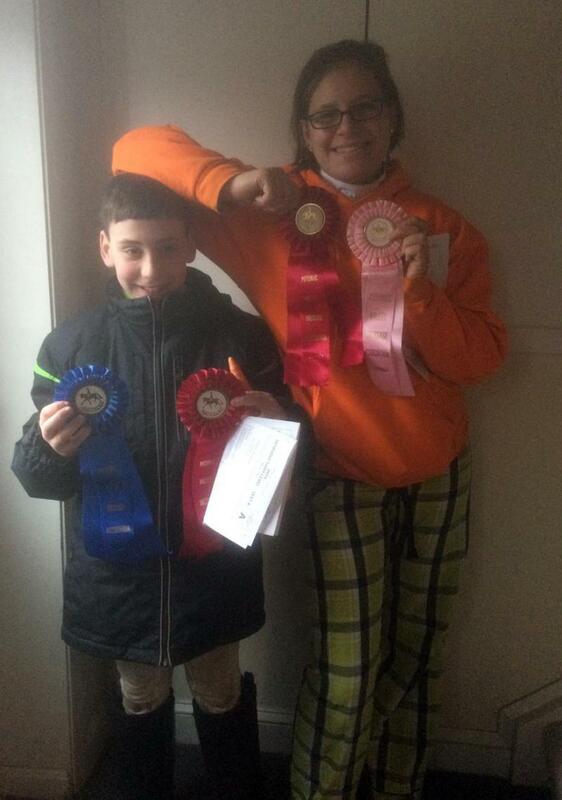 Most of our riders compete in the first three levels, Introductory, Training, and First Level. 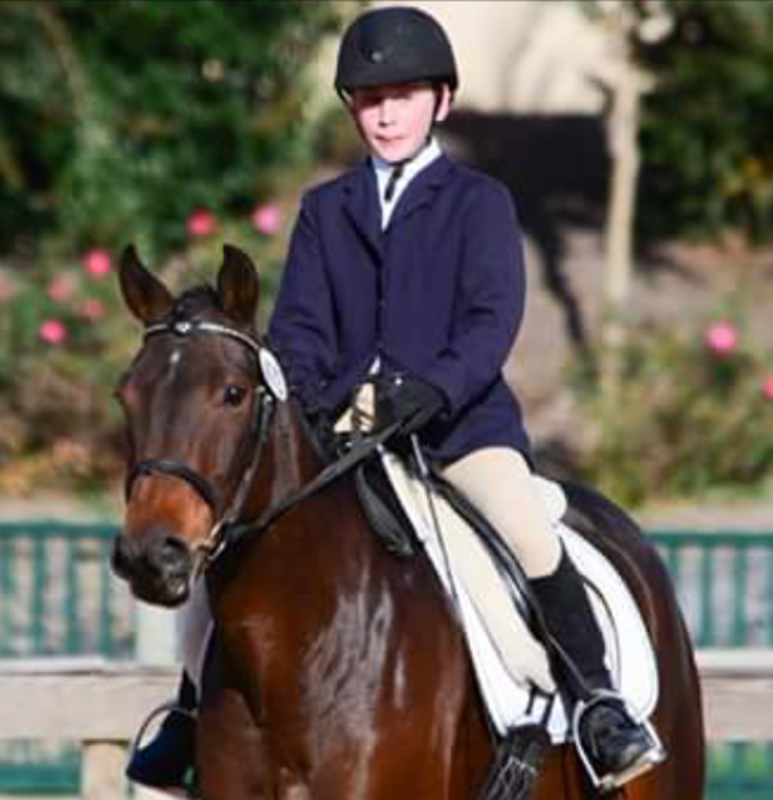 There are entire organizations such as the Potomac Valley Dressage Association focused on servicing these riders with schooling shows, year end awards, and clinics. If you're riding at these levels, you can be sure you are in good company. It can take a year or more for you and your horse to develop the skills and strength to move through each level, as the tests are designed to help develop horses through the training scale. Dressage shows are scored as a percentage of available points, so if the test you are riding has a point value of 100 and you get all 6's on movements, you would get a final score of 60%. Unlike your school tests, a score of 60% is a respectable score and indicates you are riding at the right level, but not ready to move up. Tests get incrementally more difficult both in accuracy of movements, types of movements, but also in the core strength and flexibility requirements for the horse to hold itself in a more advanced frame. Hunter paces are friendly competitions hosted by various fox chasing clubs where groups of 2-5 horse/rider combinations compete on the flat and over fences. There are classes for fast time on the flat and over fences that are essentially a race against the clock, but there are also classes where riders try to ride the course as close to optimum time as possible. Optimum time is determined by the huntsmen who have ridden the course earlier on competition day at "hunt pace" for the conditions. Usually this means a little walk, trot, canter, and gallop over the course, but riders will not know until after the results are posted what the optimum time is. We love hunter paces because they give horses and riders exposure to riding out in the open over varied terrain with inviting obstacles to jump. They are a great, low keyed way to have a good time and be a little competitive if you like the challenge of riding for optimum time. Horse Trials are a test of both horse and rider as they are comprised of three tests in three different disciplines, dressage, stadium jumping, and cross country jumping. 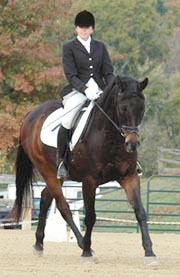 The dressage tests are similiar to regular dressage shows, but are scored in reverse, so a 60% in a dressage show would be a 40% at a horse trial. 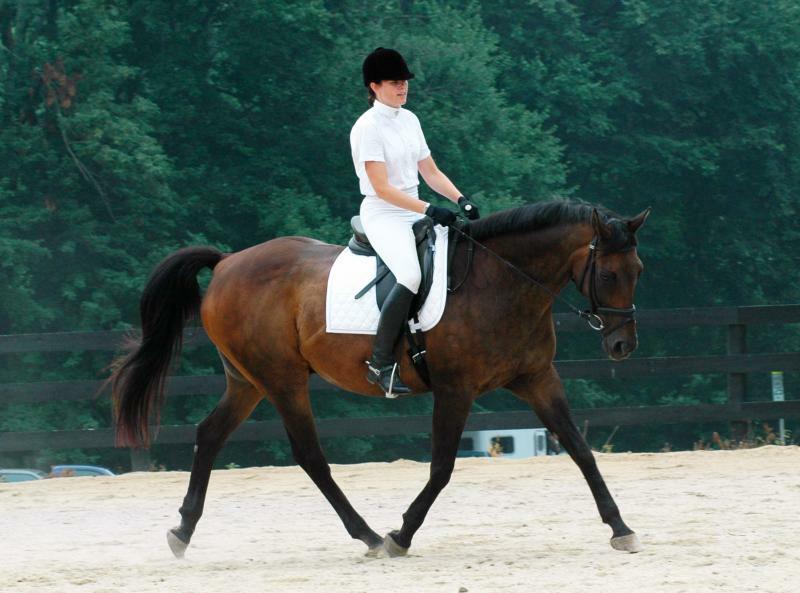 The dressage test is ridden first and sets the stage for your placing. Riders with the lowest dressage score have the advantage since the stadium and cross country courses add points when faults for time, refusals, or knockdowns occur. It is a huge compliment to your riding to win the horse trial on your "dressage score" because it means you and others may have gone clean on both stadium and cross country, but you had the best dressage score. Often riders aren't ready to compete in all three disciplines, so we take our student to dressage shows to gain experience in that discipline, then go to jumper shows for experience in stadium. Cross country schooling over competition courses is available at many of the farms in the area for a fee, plus Encore maintains a small practice field of cross country jumps to get comfortable with riding out in the open.